Thanks to the popularity of The Great British Bake Off, it seems like everyone in the country is popping on an apron and having a bash at British baking. And nothing illustrates this more than April’s Cake & Bake Show, where thousands of avid baking fans showed up to learn from the masters. We recently gave tickets away for the show, which took place at Manchester Central not too far from our designer kitchen showroom in Manchester, after running our Favourite Kitchen Memories Competition. The show included everything from celebrity demos, and live competitions to tasty treats and all the baking supplies and equipment you’d ever need. Baking professionals networked and learnt about all the latest trends in the industry. Visitors loved the artisan bakers, chocolatiers and cake makers displaying their wares. Families were baking together, trying their hands at cake decorating and getting inspired by the fun kitchen demos. 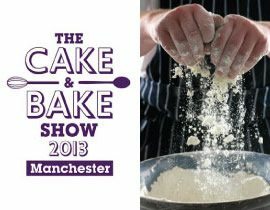 “The show was packed full of baking companies, suppliers, other foodie related firms, things to buy, things to taste, inspiration and the finest baking brains in the land.